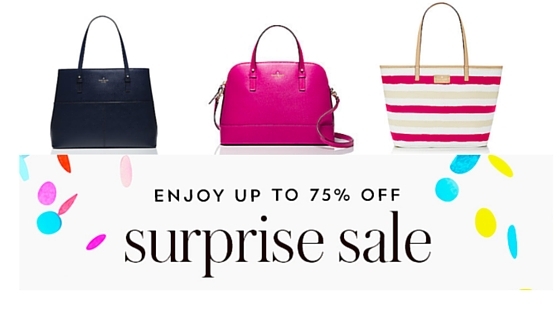 Kate Spade Surprise Sale: Up to 75% Off! The Kate Spade Surprise sale is back! You can get up to 75% off favorite items like handbags, wallets, and more. You’ll have to enter your email address to enter the sale. These items are normally pretty pricey, so it’s nice to see a good sale on them. This sale is valid through 9/20. All sales are final and shipping is FREE with orders of $99 or more.